ZeoPet B is a complex nutritional supplement for pets with a special grind for dogs of different breeds. It is produced from natural, high-quality zeolite mineral in a special spatial configuration – clinoptilolite – and a complex of refined wheat, rye and oat bran. It’s an effective and natural sorbent, ion exchanger, catalyst, and source of essential biologically active substances. When ZeoPet B enters the animal’s digestive tract, it assists rapid growth as well as the excretion of dangerous low-molecular pollutants and toxins. In addition to adsorbing and removing heavy metals, radionuclides, inorganic toxins, and wastes of various origins, zeolite provides the animal’s body with essential microelements and valuable mineral components. The complex of three types of plant bran (wheat, rye, and bran) actively creates a bolus in the gastrointestinal tract, effectively enriching the animal’s organism with Vitamin B, selenium, and a valuable polysaccharide — beta-glucan. Prevention and protection of the animal’s liver and kidneys from the destructive effects of mineral imbalance and toxic impact low-molecular free radicals. 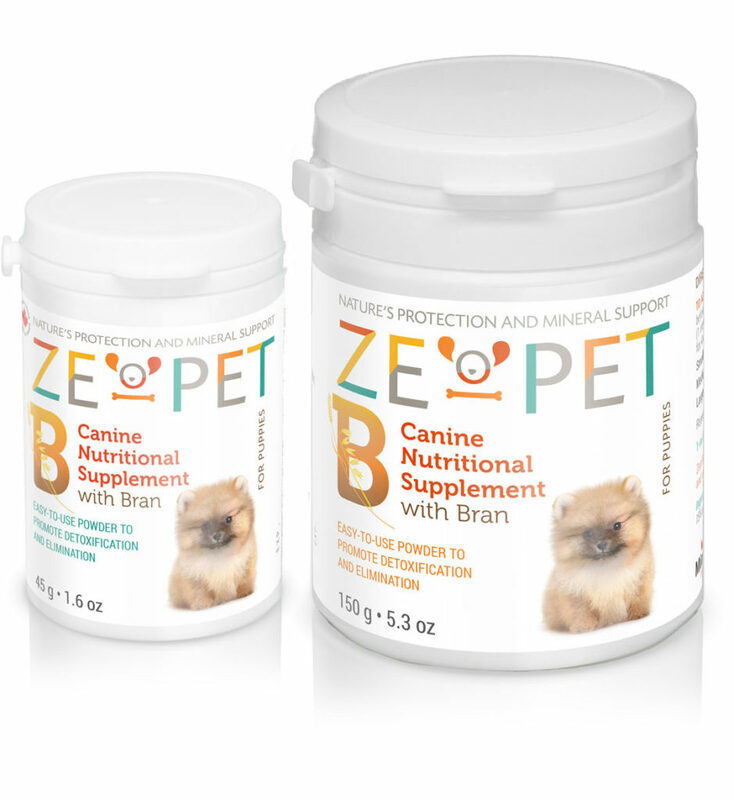 Zeolite’s effect as an efficient sorbent (cleaner), accompanied by the triple complex of plant components (three types of bran) not only improves the digestive system but also aids the growth of the puppy’s entire body. Mix into your puppy’s food immediately before feeding.